Gallery | RIVERBUG - Discover Sabah, Borneo With Us! Padas White Water Rafting, Beaufort Sabah Borneo. Kiulu White Water Rafting, Tamparuli Sabah Borneo. An excellent beginner river. White Water Rafting Kiulu is a half day tour and very suitable for a fun family trip. Gopeng Perak Adventures, Peninsular Malaysia. MariMari Cultural Village. True Cultural Destination in Sabah. Ulu River Lodge, Accommodation Facility RIVERBUG Perak. RIVERBUG The White Water Rafting Specialist, Borneo Sabah, Perak Malaysia[HD]. RIVERBUG Kiulu River White Water Rafting. 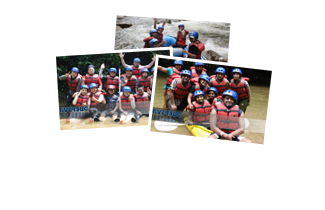 RIVERBUG Perak, Kampar River White Water Rafting. RIVERBUG Perak, Tubing Tour Kampar River.